when gazing into a fire. What is it that draws and holds us? 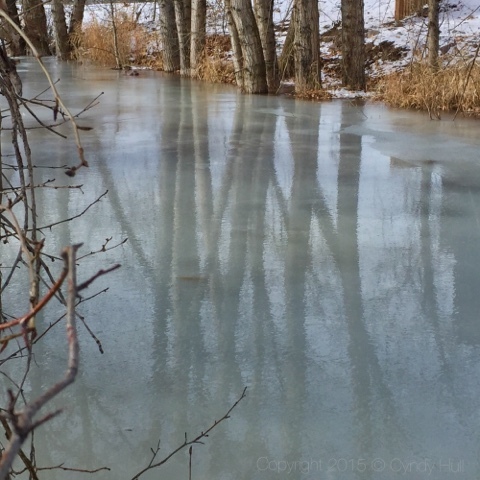 This week, western Montana vacillates betwixt freeze and slightly less so, hence this lovely reflective sheen of water atop the brooding, moody ice.